Hybrid cars are great for the fuel-efficiency-obsessed driver and for those who want to do their part environmentally. You would usually think hybrid cars were small with less room for passengers or things, but the 2018 BMW X5 eDrive turns that idea on its head as a full-size SUV that is as fuel efficient as most cars. The 2018 BMW X5 eDrive also incorporates a luxurious and technology-filled interior, and sleek exterior features that make it an appealing hybrid SUV option. If you are in search of a 2018 BMW X5 eDrive in the Stratham, Portsmouth, or Exeter, NH, areas, this review by our team at BMW of Stratham will give you all the information on this lovely hybrid SUV. The 2018 BMW X5 eDrive comes standard with a 2.0-liter BMW TwinPower 4-cylinder engine, and is joined with a 9.2 kWH high-voltage lithium-ion powered eDrive motor to provide performance and fuel economy. This engine is paired with an 8-speed Steptronic automatic transmission to produce 308 horsepower and 332 lb-ft of torque. The engine also features an Auto Start-Stop function that cuts the engine off at every red light and stop sign for even greater fuel efficiency. The luxury interior of the 2018 BMW X5 eDrive allows you to enjoy your driving experience in ultimate comfort. The seamless dash to center console design features real wood or brushed metal accents, and your color choice of top-quality leather seats with a standard heating function and available ventilated function for the front seats. A standard Panoramic® moonroof allows for the best possible views of the world outside as fresh air fills the cabin. The standard 10.2-inch high-resolution Touch BMW Navigation system features a touchpad controller and is run by BMW’s signature iDrive 6.0. It also offers Bluetooth® capabilities for you to be able to pair your phone with the infotainment system to play your favorite tunes. The standard HIFI Sound System with 9-speakers and a 205-watt digital amplifier will allow for great sound quality in your cabin. Having these helpful driving details in your line of sight helps to keep your hands on the wheel and eyes on the road. Another advanced available interior technology feature is the Wireless charging port for your smartphone and the available onboard WiFi® hotspot that comes with a free three months of 3GB of data per month. If a highly fuel-efficient powertrain, luxury amenities, and advanced standard and available technology is what you want in your next car, the 2018 BMW X5 eDrive may be the perfect option for you.  If you are a Stratham, Portsmouth, or Exeter, NH, shopper, please contact one of our fine BMW of Stratham team members or visit our showroom for a test drive.